The message in a recent conference on the property market was that the market is fine, that there is no property bubble, but urged government to do more to help for those who can’t afford today’s prices. Kurt Xerri from the University of Malta was reported to have said that there is no bubble “right now” however our over-reliance on foreign buyers vulnerable to external economic realities posed a risk. 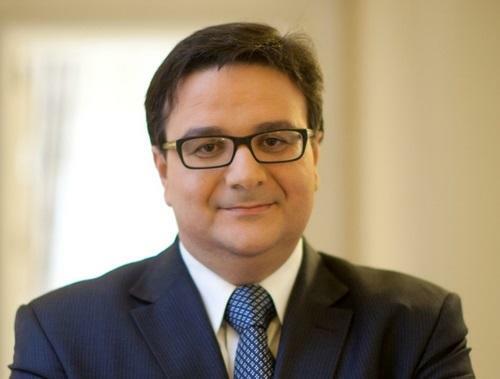 Economist Gordon Cordina made the point that poverty in Malta was masked, because in the past people were able to rent very cheaply. This is no more the reality and therefore poverty is being created. Cordina stated that the risks of implosion (burst of the bubble) is low however depended on whether present economic activity and population expansion, key drivers to property inflation, can be sustained. In simple words, as long the economy does not face a downturn and foreigners keep coming in we are fine as property prices will continue to increase. This means that the poor will become poorer, the low income families will become poor and first time buyers will have to adapt to even more inappropriate dwellings. I hope we remember the economic principle of what goes up must come down as resources and demand are not infinite. There are two challenges to the population expansion issue. Firstly we must ask, how much more and at what cost? Congestion, infrastructure, waste, less open spaces, air quality overall poorer quality of life. Which begs the next question, what will we sell? Secondly, we are today not only importing financial services and online gaming professionals, but even more cheap labour. The property inflation of the past five years is forcing professionals to look elsewhere around the island, from the traditionally sought areas, for more reasonable properties and cheap labour sharing apartments, even rooms to make ends meet. Both these two phenomena are taking up properties that previously targeted average income earners and first time buyers, pushing up prices and making them unaffordable for locals. 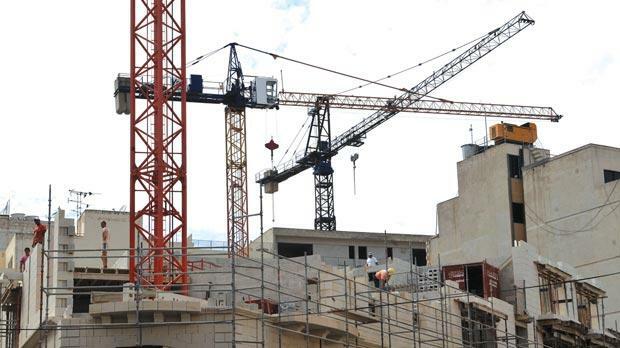 Imported cheap labour is a double whammy for Maltese families, as their over-supply is keeping the wages of certain job categories ridiculously low. They take up jobs that Maltese can’t afford to work in, preferring thus to put pressure on Government to engage them in the public sector. Expecting the Maltese to take up these jobs and decently provide for their families a home and a living is unjust and unrealistic. Growth and Surplus statistics may be great but they are not providing workers with a fair deal, a fair deal that allows them to afford a decent family home. When house and rental prices are consistently rising at a rate far higher than average income year on year, we are blowing a bubble even if those with a direct interest in the sector want us to believe otherwise. Gordon Cordina was also reported to have said that overdependence on occupier ownership is not healthy in terms of the optimal use of scarce land resources. “There should be a balance between those who own their home, and those who rent,”. While I can understand the economic theory behind such reasoning, we know that total economically liberalism creates poverty and injustice. Pope Francis reminds us that our economic systems should reflect our moral values that include the fair distribution of wealth and solidarity. If home ownership was not an integral part of our economic system and equitable method of distributing wealth, the crises we have today we would have faced 10 years ago, the property crises today would be more serious on poor people, low income earners and first time buyers toward whom the Government has an obligation to protect. Homeownership, our “savings” culture and internalised public debt were the cornerstones of our resilience in the times of worst crises. Past Governments have sought to ensure reasonable housing provision to lower income families through a number of initiatives, some less fair then others. On the rental front, the old rent laws gave unfair protection to the occupier of a property, by paying pittance in rent while guaranteeing life-time occupation. This was nothing else but extortion, and the Government shying from its responsibilities to provide housing by imposing this obligation on property owners. I agree with Cordina, this masked poverty and solved the problem unfairly. However, past homeownership schemes did create social and affordable housing alternatives, initially by passing land to first time buyers and average income families, and subsequently through the building of thousands of apartments by the Housing Authority to meet social and affordable housing. This was not masking poverty, this was social justice, and giving a reasonable start to everyone, rather than making families prey to the whims of the housing market. If it is fair that a prime land is granted to a developer for €15m to build a massive project that will sell apartments at €4 to €10 million each, then it is only fair that families are treated by the same generosity if we truly believe in equality and justice which should not stop with civil rights. Developers did not like Home ownership schemes and protested with Government that these competed unfairly with the private sector. Social and affordable housing is not about market competition but social justice. Many have forgotten that the Maltese economy was built on the principles of a social market economy and not a liberal (capitalist) market economy, where property owners take advantage of their dominant position and while they become richer as rest become poorer. We are seeing more of this today because unfortunately Government gave in to this pressure and has not built any housing project in the last 5 years and the schemes that offer support are today inadequate. The comments of Philippa Tabone from Frank Salt in the same conference confirms this. Ms Tabone stated that “Locals can’t afford three bedroom properties in St Julian’s, they look for one bedroom places in the south. They need help, and something has to be done to tackle the situation”. This is what a total liberal market does, something needs to be done fast. Catholic Voices Malta is a network of Catholics that willing to engage in a dialogue with the Maltese society through debates, programs, seminars, printed and electronic media. This article appeared on the Opinion page of the Malta Independent 3rd October 2018.